Over the years, there have been multiple sightings around Temple Bruer of ghostly men roaming the country lanes dressed in white robes with a cross on them, a shield and their swords at the ready. They are always said to be walking and these sightings are only ever reported on a clear moonlit night. The site was featured on television programme ‘This Morning’ where footage shows medium, Shirley Wallace, disturbed by the ghostly smell of a Templars body nearby. She also claims to have sensed 19 spirits in total within the tower itself. The callers report sightings of these ghostly white figures along the A15 and some even date back 40 years ago. Some spoke of figures running out from the ditches into the road and in front of the car, but never hitting anything. 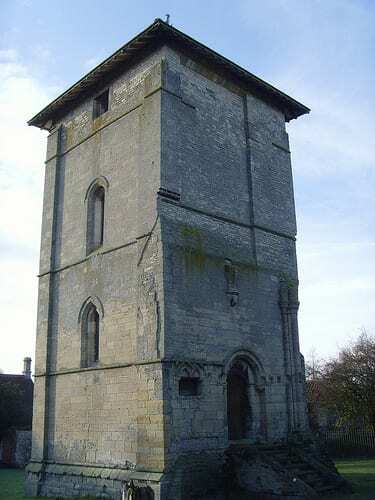 Temple Bruer is one of the last remaining buildings of the Knights Templar in England. It is set in a farm yard and was in use between 1150 until 1312. Although the Knights Templar sounds impressive and mysterious, it was in fact made up of Lincolns wealthy land owners. The Knights were used to protect Christian pilgrims journeying to Jerusalem and were sworn to poverty and the promotion of good work. As time went on, the Knights appeared to lose their sense of spirituality and craved what they did not have. By the end of the order, they had gained a huge amount of land and money. This sparked anger and jealousy within the local community as the saintly figures had gained wealth which was not seen as fair or correct in their religion. The Templar used sites such as this to generate income to pay for their military campaigns and training. However, the location of Temple Bruer was perfectly suited for their own needs. Having no trees surrounding the building made it a great place for them to practise military techniques and train.